In the Washington Post, Dr. Michael Stein writes: "When medical care is delivered in 15-minute doses, there's not much time for caring". My job, in its barest 15-minute form, is to separate the serious possibilities from the less serious, offer a diagnosis and an explanation, recommend any additional testing and list the possible courses of action. But a hurried, task-oriented approach doesn’t accommodate the meandering, overlapping, widening issues of patients. It undermines kindness. And it prevents doctors from being what our patients hope we will be when they walk in: unrushed explorers on the lookout for the next discovery. Fortunately, patients and doctors can avoid these problems through a "direct pay" or "concierge" model, as discussed in my earlier Forbes piece, "Is Concierge Medicine The Correct Choice For You?". Doctors can take the time to give the patients' issues the attention they need. In response to this frustrating situation, more doctors are seeking an alternative practice model. They are establishing “concierge” or “direct pay” practices, where patients pay a monthly or annual fee for enhanced services, including same day appointments, 24/7 access to their doctor, e-mail consultations, and longer appointment times. 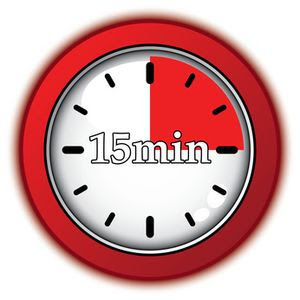 Instead of the usual rushed 10-15 minute appointments, these doctors typically offer 45-60 minute visits allowing them to really delve into their patients’ problems and craft individualized treatment and prevention plans. The Indianapolis Business Journal described how concierge medicine helped patient Dale Sventeck. Sventeck suffered from a “frozen shoulder” which severely limited his range of motion. Most doctors he saw simply wanted to schedule him for an MRI study and surgery. But concierge physician Kevin Logan was able to take the time to diagnose that Sventeck’s problem was caused by the mercury in his dental fillings. Dr. Logan advised Sventeck to remove the fillings. One month later, his shoulder was back to normal.